Do you find it difficult writing persuasively? Don’t waste your time. Use my time instead. Build & engage audiences. Also guide prospective customers through their decision making processes. Improve search engine rankings and engage readers. Create a LinkedIn profile that will get you noticed. Evaluate your website performance . The results will provide you with the groundwork you need to produce smarter content that drives more traffic and generates more leads. Claire gives the BEST top tips to get you writing well about the services you offer…Her blog is a MUST read! Always inspiring and spookily timely! I recently engaged Claire Hawes to help me get to grips with LinkedIn. Claire had been recommended to me and I loved her upbeat friendly approach. It was just a one-hour workshop which was jam-packed full of useful information and tips and importantly on-trend and up-to-date in the ever-expanding social media world. Being shown what to do face to face makes it much easier to understand, I’ve come away having learned a great deal and would highly recommend Claire. 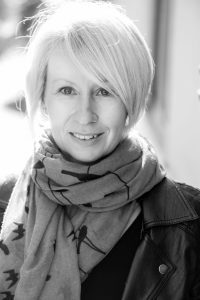 Lucinda Hope Director Simply Swim Sussex Ltd.
Claire worked for us as an interim Marketing Manager while our Marketing Manager enjoyed maternity leave. Claire quickly mastered her brief and made useful suggestions for increasing our digital presence. She co-ordinated designers, staff, and others to keep the marketing program on track. We would recommend her. It was a pleasure to work with Claire, an experienced marketer who combines proven theories with fresh ideas to meet your business goals. She helped us build a more robust content strategy; giving us loads of advice and tips to easily manage our editorial calendar. She also brought her critical eye to our website and helped us optimise both our ranking and visitors engagement. I have worked with Claire for around a year now and found her to be an efficient and knowledgeable business partner. She has raised our company’s profile in social media. I asked Claire at The Content Boutique to provide a content audit of my new website because my business wasn’t appearing in searches. Her approach was brisk and positive, starting with a phone call followed by the content audit itself, and a final phone call to tie up loose ends. I found the page-by-page suggestions very clear and I liked the way I was able to rewrite for myself following her guidelines. I now get much better search results!